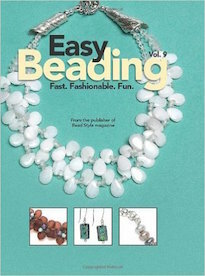 There are several that I like...but I love the rondelle enameled beads (there are 3 color combos shown & love them all). I really like the shape of them. And the colors are so luscious! Ib really love the bezel that is being given away. Regarding my fav bead from her Website, the Hilton Head Blue Mini Lentil is the one. I love the Mango Mini beads. I added this current giveaway to my list. That resin bead is a great piece. Coral Sparkle Surprise!! I love all the different shades and not knowing exactly what shades your going to get is makes it really fun!! How the heck are we supposed to pick just one thing? She makes such awesome beads. I have it narrowed down to two: the Terrazo beads or the Wasabi Rakus. I have never seen anything quite like the Hilton beach lentils.Truly beautiful and a work of art! but oh my goodness I have never seen anything like the Hilton Head minis! What an amazing giveaway! And pick just one item from her site??? okay...how about 2? I love the minis...so cute and classic. But I also love the Hilton Head Beach Lentils. A-maze-ing! Thanks for the giveaway. Sue has such awesome beads... My favorite is the Silvered Aqua Terra but the Wasabi Raku is coming a close second. I would love to make a necklace with those beads. Something to wear at all the winter parties that will be coming up in a few months. And especially at New Years Eve. I like the Flower Power sliver Heart pendant which looks like the one in the give-away. Hope I win! My faves are the matte rounds with the silver lines--very organic. I love the Earth Rocks! set, Beach III, and the Hilton Head bead (my fave place!). Okay, I can't limit it to just one. Luscious! Oooh, frosted teal sparkle! Frit + etched + teal = gorgeous! I like crystal-formed ones, but Asian influence series is just stunning. I love Sue's beads. My favorite is her Chinese Lantern Bead. My mind is spinning with what I could create from those! If I only had to choose one... oh, I couldn't! I do love Bordeaux Swirl. I love all of the minis -- the ivory or gorgeous and the colors are luscious. I love Sue and her awesome beads! I never saw the frosted filigree beads before but I am smitten! Can I pick two favorites, pretty please?! The Kaleidoscope squeezed beads and the Hilton Head lentils are amazing! Clearly the coral and the denim minis. And the violet sparkles. Or would it count if I said - everything that is etched? Her beads are super cool. Love them. I find all the beads are beautiful. My absolute favorite is the Drumheller bead. I had taken a vacation there when I was young. The bead really does look like the rocks in that area. We found a lot of fun stones there. It makes me want to go back some day. Sue's beads are so beautiful! I really love Hilton Head Pale Aqua Mini Lentil...very beachy!! another great giveaway! I'd love to win! You can tell I'd love to win some of Sue's beads! Oh it's so difficult to choose just one favorite. It's a toss-up between the Autumn Leaves Sparkles set and the Classic Sparkles set on her website. But then I went to her etsy site and fell in love with the enamel beads. Since autumn is right around the corner, I'll say the Autumn Leaves set. Oh I love SueBeads! You are so generous, Andrew... may you be blessed. Not really sure if the link works...I'm so new to all this tech stuff. Andrew you have such wonderful giveaways! my fave of her wonderful beads is..Hilton Head Pale Aqua Mini Lentil! I posted this on facebook too. My favorite are the Hilton Head beads but it's hard to miss with hers. I love her encased beads, too -- would love a rainbow collection of those! My favorite has to be the Hilton Head Beach lentil set because I love the pale blue watery colors which remind me of where I truly belong! Thanks for the generous giveaway! I went to the web site, picked the Hildton Head Lentils, and headed back here! I guess I am not alone. The are beautiful. Thanks for the giveaway. I love those green enamel sprockets! Please enter me to win that cool stash! I love the Violet Cupcake Sprinkles Swirl, tho any of the Swirl beads are prefect and gorgeous! Please enter me to win that great stash!! I love SueBeads!! 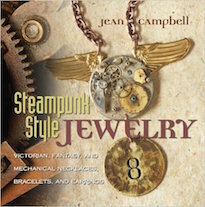 My favorite are her frosted filigree beads.Thanks so much for the chance to win some of her cool pieces. Thanks again for doing the giveaway. For me, it's actually turned into a nice tour of the "big bead world" that's out there. Sue's Hilton Head beads are my favorite I think. They remind me of growing up by the shore. 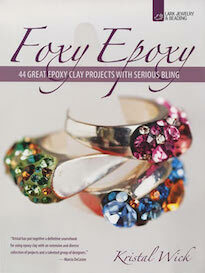 so many lovely choices, the turquoise sparkle lentil is gorgeous! Tough decision! They are all so beautiful! My favorites would have to be the Hilton Head Beach beads. I grew up at the beach and looking at those beads takes me back to those days. I can even hear the seagulls and smell the salty air and feel the warm sand on my feet. Those gorgeous beads bring happiness as the beach is my absolute favorite place to be. Thank you, Sue, for creating not just beads, but great memories. so many beads and I have to pick just one. well, those would have to be Northern Lights. all of her items are so beautiful. I love the Kaleidoscope Squeezed Beads. They are very unique! Thanks for sending me to her site to look around. Awesome! I love Frosted Filigree the most. With all of the beautiful choices it's almost impossible to pick just one! I love all of the Sparkle beads, but my fave is Hawaiian Coral. 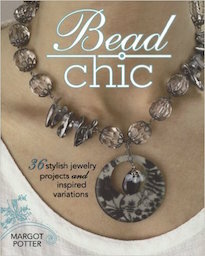 I love Sues' choice of beads & pendant for the giveaway - they will make a gorgeous necklace!! Oh this is so neat. I rteally like all of her stuff but I really like the frosted filigre ones. They are so pretty. Currently, I am LOVING her Turquoise Stripe Large Hole beads... I can see them paired with leather... a yummy chocolate brown leather. I love Sue's beads, every last one! Thanks for the giveaway opportunity! All her work is beautiful. The one I liked the most is the Violet Enamel Focal. Is awesome! What gorgeous beads! 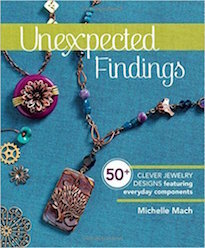 From the website, I especially loved frosted filigree, but it was hard to pick a favorite. I like the heart pendants, but I really love the etched beads with the swirls! They're all beautiful, but my favorite is the coral surprise sparkle. 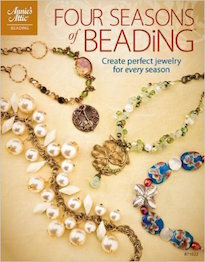 PLEASE count me in - I love Sue beads!They're right at the top of each section but I LOVE her Frosted Filigree - so unusual. Thanks Andrew for another great giveaway! I would love to participate!! My favourite is the Hilton Head Pale Aqua Mini Lentil! It reminds me of when I went scuba diving in Bonaire! Absolutely gorgeous!! Just one? That's hard. I really love "silvered" etched beads, but also boro and she's got some lovely "boro look" beads there. The Coral Surprise Sparkles look lovely and I really like the thought of never really knowing what shade a bead will turn out. But Amber Sparkles with their different shades and the serenity of the Midnight Sky beads or the soft dreamy colours in Gelatti and the sweet autumn violets in Violet Sparkles -- they're all so pretty! And I blogged about it to (at Wild roses & blackberries). Impossible to choose a favorite. I have soooo many of Sue's beads! 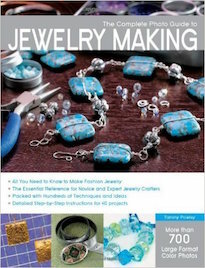 Recently, she made me a silver heart in light blue with swirly beads to "go with." Beautiful! 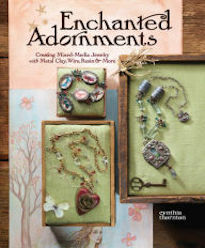 Great giveaway...I really like all of Sue's Beads...my fav from her website is Frosted Filigree...very classy! Her beads were beautiful - it was VERY hard to select one, but I kept coming back to look at the Waterlily Crystals...they are my favorite. I love the Kaleidoscope Squeezed Beads, especially the rondelles. I'm smitten with the turquoise lentils. Sue's work is outstanding! I love it all. The give-a-way is very generous, thank you to Sue and Andrew. Her lampwork is beautiful, especially the Amazon Wave Lampwork Bead, but with fall approaching, my favorite has to be the Blue Green Enamel focal. I LOVE the copper sparkle.